Queen of the South is set to rule on USA Network for yet another season. 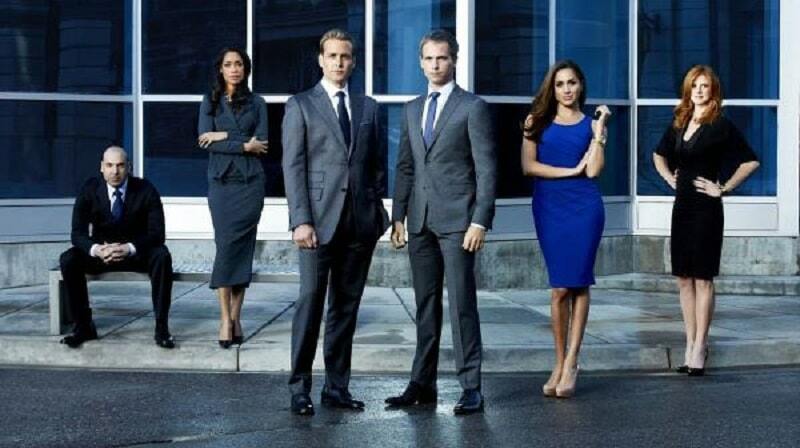 The network announced on October 1 that the crime drama series was returning for Season 4. The announcement came after the show’s Season 3 finale aired on September 13. Queen of the South is based on Arturo Pérez-Reverte’s bestselling Spanish-language novel La Reina Del Sur, and was inspired by Telemundo’s telenovela adaptation of the book. 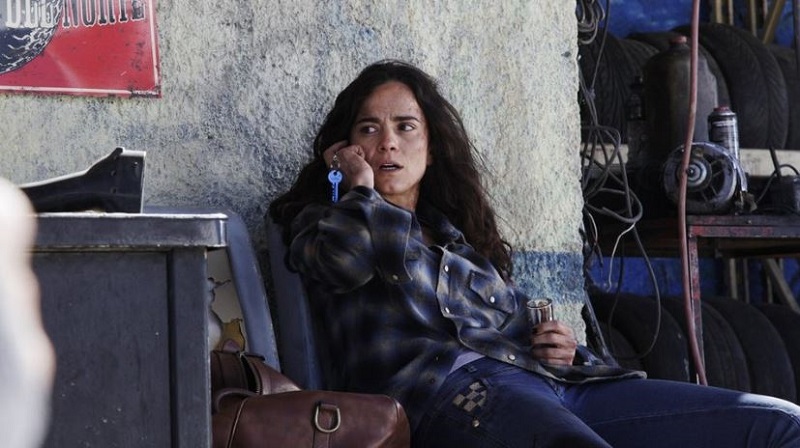 The series stars Alice Braga as Teresea Mendoza, and follows Teresa’s drug trade career after she flees Mexico and takes refuge in the U.S. to escape the powerful Mexican Sinaloa drug cartel. Queen of the South is one of USA Network’s most popular series. The series was an instant hit with fans after it premiered on USA Network in June 2016. It ranked among the top three shows on USA Network in 2018, coming only behind The Purge and Unsolved. Queen of the South has maintained fairly consistent ratings during its three-year run, so everyone was expecting it would be renewed for Season 4. Season 3 averaged a 0.37 rating in the key 18-49 demographic and 1.13 million viewers. Although Season 3’s 0.37 rating and 1.13 million viewers represented a 4 percent and 2 percent decline respectively. Compared with Season 2, it was a fair performance compared with the network’s flagship series, The Purge, which averaged 0.41 rating in the key 18-49 demographic and 1.071 million viewers. Their battle ends with a bang. Unsolved, the second highest-rated series on USA Network in 2018, averaged a 0.38 rating and 0.962 million viewers in the key 18-49 demographic. Ahead of the return of Queen of the South to USA Network for yet another season, we bring you everything we know so far, including release date, trailers, casting and what fans can expect of the show in Season 4. Queen of the South Season 4 is set to premiere in 2019, but USA Network has not yet announced a premiere date for the highly-anticipated crime series. Since its inception on USA Network in 2016, the series has maintained a June premiere date across the seasons. Queen of the South Seasons 1, 2 and 3 premiered on USA Network on June 23, June 8 and June 21, respectively. So fans are expecting that Queen of the South Season 4 will also premiere in June 2019. Queen of the South, created by M.A. Fortin and Joshua John Miller, is an American TV adaptation of Arturo Pérez-Reverte’s bestselling Spanish-language novel La Reina Del Sur and the telenovela of the same name, which airs on Telemundo. Queen of the South is co-executive produced by David T. Friendly and Natalie Chaidez, along with Dailyn Rodriguez and Ben Lobato. It is co-produced by Fox 21 Television Studios and Universal Cable Productions. The series is the top scripted series on ad-supported cable in the Thursday 9 p.m. slot, among the key 18-49 demographic. 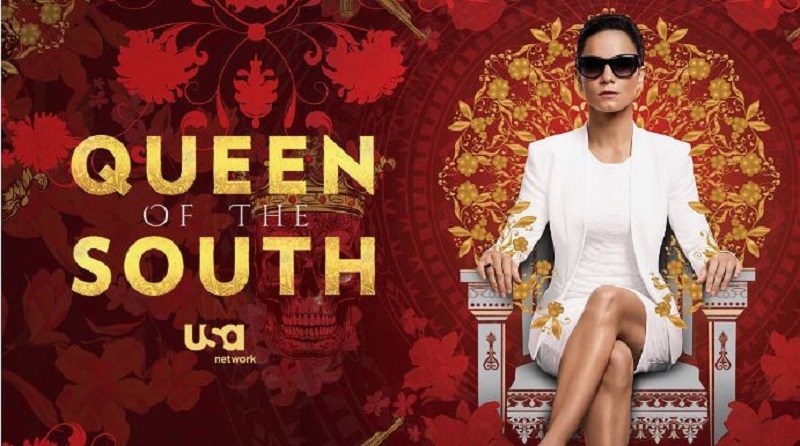 Deadline reported on October 1 that Natalie Chaidez, who served as showrunner for Queen of the South Seasons 2 and 3, was stepping down and that she would be succeeded by co-executive producer Dailyn Rodriguez. Chaidez had replaced Scott Rosenbaum who served as Season 1 showrunner. Rodriguez will serve as Season 4 co-showrunner with Ben Lobato. She had served as co-executive producer alongside Chaidez, Lobato, and David T. Friendly, during Season 3. She joined the series as a writer in Season 2. According to Deadline, Rodriguez is a Cuban American who is fluent in English, Spanish and French languages. She started her writer/producer career in comedy and was part of the writing team for ABC’s Ugly Betty (TV series 2006-2010). Her writing and production credits also include, The Beautiful Life (TV series 2009), Lie to Me (TV series 2009-2011), In Plain Sight (TV series 2008-2012), Cane (TV series 2007- ), 90210 (TV series 2008-2013), The Glades (TV series 2010-2013) (2), and The Night Shift (TV Series 2014-2017). Lobato, formerly Supervising Producer on DirectTV’s Ice, had also joined Queen of the South as a writer in Season 1 and served as supervising producer during Season 3. His writing and production credits include The Unit (2006-2009), Against the Wall (TV series 2011), Gang Related (TV series 2014), and Shades of Blue (TV series 2016-2018). Besides The Purge (TV series 2018- ) and Unsolved (TV series 2018-), other top shows on USA Network’s scripted slate, alongside Queen of the South, include The Sinner (TV series 2017- ), Suits (TV series 2011- ) and Mr. Robot (TV series 2015- ),which wraps up its run with a fourth and final season in 2019. USA Network has not yet released an official trailer for Season 4. If, as expected, Queen of the South Season 4 premieres in June 2019, then fans can expect the official trailer to drop in the spring of 2019. We will update fans with the new trailer when it is released. Meanwhile, enjoy the official trailer for Queen of the South Season 1. 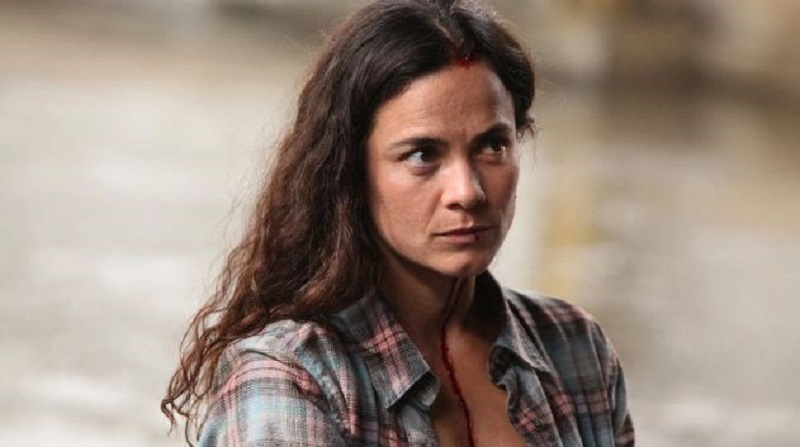 Queen of the South stars Alice Braga as Teresa Mendoza, a poor woman from Sinaloa, Mexico, on the run from the powerful Mexican drug cartel. She seeks refuge in the U.S. where she builds a vast drug empire of her own. The main cast also includes Veronica Falcón as Doña Camila Vargas. She is the estranged wife of Epifañio Vargas. She heads the U.S. chapter of the Vargas Cartel in Dallas. Joaquim de Almeida as Camilla Vargas’ husband Don Epifañio Vargas. He is head of the Vargas Cartel who wants to be the governor of Sinaloa. Hemky Madera plays Vargas Cartel member Pote Galvez. Gerardo Taracena as Vargas’ right-hand man Cesar “Batman” Guemes and Peter Gadiot as Camila’s right-hand man James Valdez. Jon-Michael Ecker as Raymundo “El Guero” Davilla and Justina Machado as Teresa’s friend Brenda Parra. She is also Tony’s mother and Chino’s wife. Nick Sagar plays Alonzo Loya, a DEA agent. Idalia Valles plays Isabela Vargas, the daughter of Camila and Epifañio Vargas. Braga will return as Teresa Mendoza for Queen of the South Season 4. Other members of the main cast likely to return for Queen of the South Season 4 include Veronica Falcon as Doña Camila Vargas, Yancey Arias as Alberto Cortez and Nick Sagar as Alonzo Loya. In Queen of the South Season 3, Teresa strikes out on her own after mastering the rules of the game in partnership with Camila Vargas. She begins to build a drug empire of her own. But soon new and old enemies close in, and she realizes she has her work cut out to build a drug empire of her own. Although USA Network’s Queen of the South is based on the book La Reina del Sur by Arturo Pérez-Reverte and inspired by Telemundo’s telenovela adaptation of the same book, the series has deviated significantly from the source material partly because while the novel is set in Spain, the TV series is set in Dallas, Texas. With the series having come to the end of the book’s story, the show is now free to strike out on its own to explore new plots and storylines. Vanity Fair suggested that with Queen of the South now set in Season 4 to enter uncharted terrain, the writers could take advantage of the setting in Dallas, Texas, to explore border issues that have recently dominated U.S. politics in the Trump era. In an interview with Parade, Braga said the future plot possibilities for the series were exciting. She also shared in an interview with Fab TV (see YouTube below) that she is committed to shows that portray strong women and that she plans to support women through her production company Los Bragas, which produces the Netflix original shows Samatha! (TV series 2018) and Sintonia (TV series 2019). “More than ever, I want to support other women, other filmmakers, to make their shows, to do their work, because if we don’t empower each other, things won’t change. So we need to keep on doing it,” she said.